If you’re always looking for the cheapest groceries, here’s some news you should know: Walmart just launched a major price war against Aldi and other discount grocers. In a renewed bid to lure discount shoppers, Walmart has dropped prices on an assortment of packaged goods in at least 1,200 stores across 11 Midwestern and Southeastern U.S. states, according to an exclusive article by Reuters. The price cuts are taking effect in Florida, Georgia, Illinois, Indiana, Iowa, Kansas, Kentucky, Michigan, North and South Carolina, and Virginia, according to Reuters. 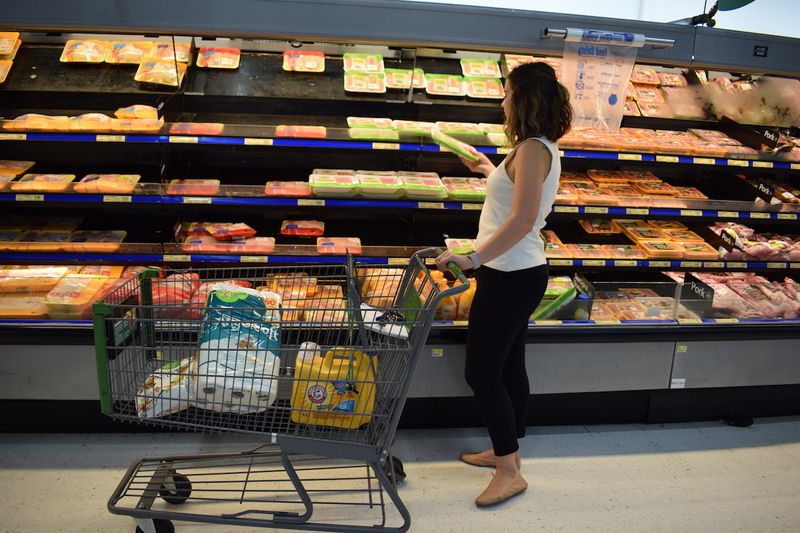 The reduced prices, which are undergoing sort of a test run, are a response to increasing competition from Aldi, a discount grocery chain that has 1,500 stores in 34 states. Aldi is cutting into Walmart’s market share. Walmart wants those customers back. To compare prices between the stores, Reuters did “spot checks” at competing Aldi and Walmart locations in five Iowa and Illinois cities. At each store, Reuters noted the prices for a basket of 15 similar-sized items, including store-brand packages of milk, eggs, butter and chicken breasts, along with brand-name items like Crest toothpaste and 2-liter bottles of Coke. The result: That basket of groceries cost 8% less at Walmart than at Aldi. That was a big switch from recent estimates that Walmart’s groceries cost as much as 20% more than Aldi’s, according to Reuters. It’s also a change from when The Penny Hoarder found that Aldi was cheaper than Walmart in this comparison last year. Indeed, Walmart and Aldi have been competing hot and heavy for the affection of bargain-seeking food shoppers. With that in mind, your friends at The Penny Hoarder have been shopping at both stores for the past couple years to pick up some tips and tricks you can use at each store. There’s the always-popular 8 Ways to Save at Walmart, as well as the useful 13 Secrets Every Walmart Shopper Needs to Know. Not to mention our post on what website to check before shopping at Walmart. When it comes to its competition, we found 8 Ways to Save Money at Aldi, too. Your Turn: Do you shop at Walmart or Aldi? Or neither? Mike Brassfield ([email protected]) is a senior writer at The Penny Hoarder. He’s an unrepentant Aldi shopper.